Hey Everyone! Welcome back to my channel! 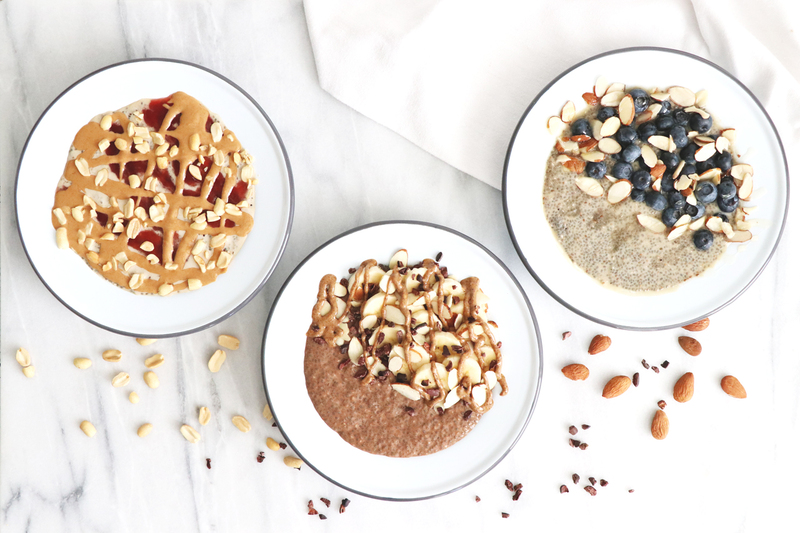 Today I am sharing how to make Chia Pudding Breakfast Bowls 3 Different Ways! We’re a few weeks into the new year! How are you doing with you health & wellness goals? Let me know in the comments below! As you probably remember, I’m an Orgain Ambassador for their Resolution Campaign! They have an amazing giveaway where you could win over $2000 worth of wellness products! Definitely check it out by visiting their website or clicking here! I’ve been sharing educational and encouraging blog posts on their website all month long! Have you been reading & following along? I’d love to know which post is your favorite so far! Definitely checkout their website to see all of my posts! 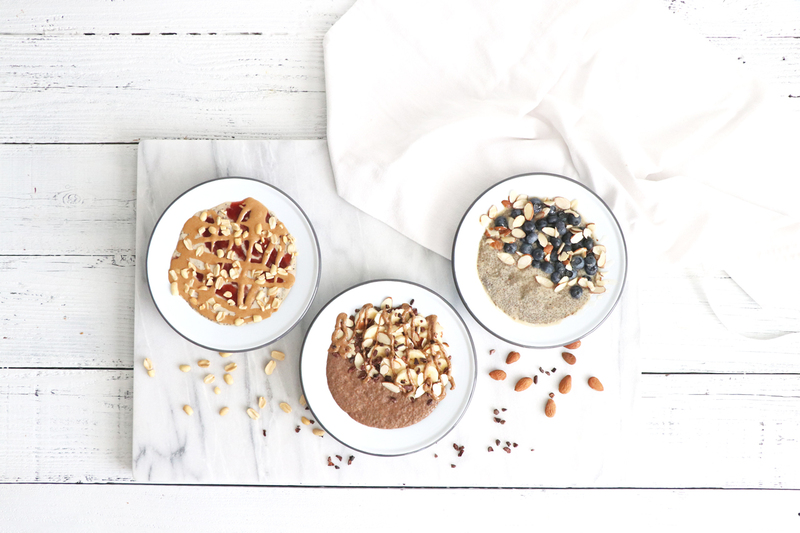 So for today’s video I am sharing how to make Chia Pudding Breakfast Bowls! 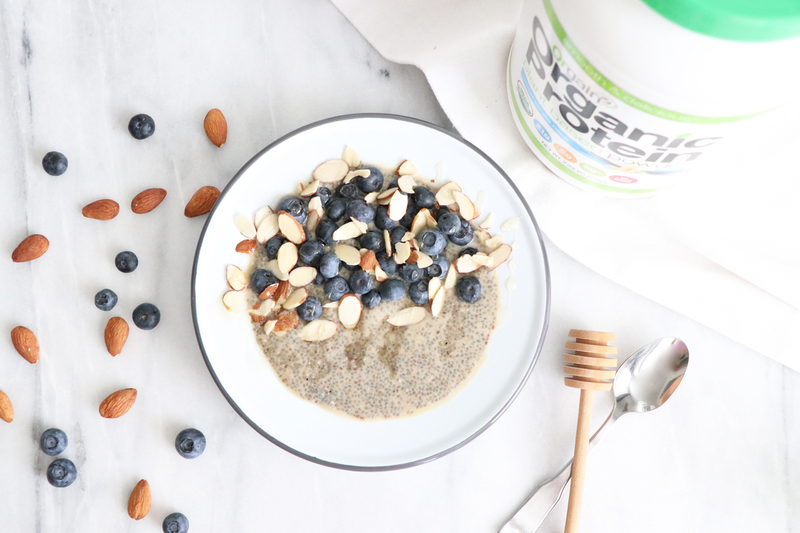 Chia pudding is great to make ahead of time & what I love about chia seeds is that they expand in liquid, which help you feel full longer! Chia seeds also contain protein, fiber & healthy fats! 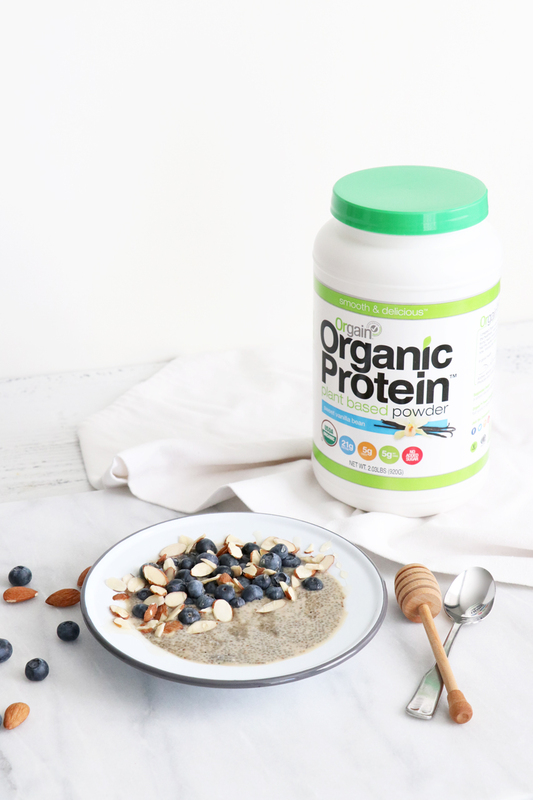 We’re also using Orgain’s Organic Plant-Based Protein Powder in all of our recipes today so that these breakfast bowls are truly satisfying & will keep you feeling full for hours! 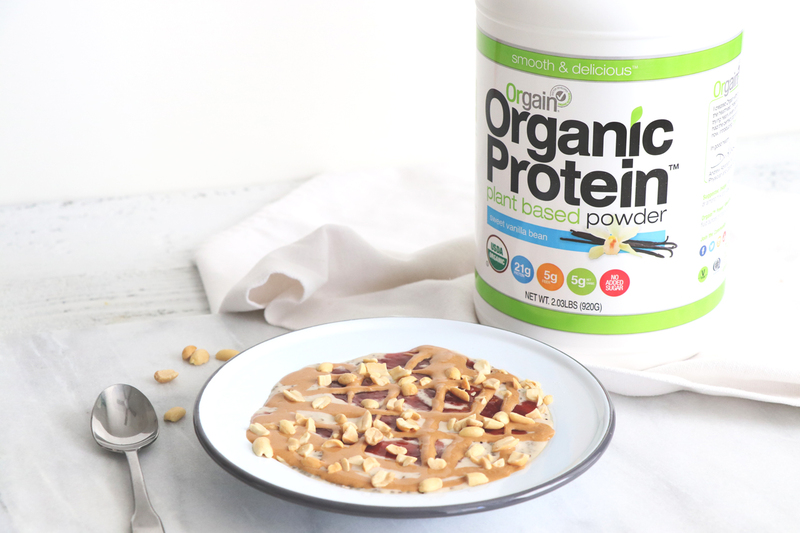 I love to share with you why I love Orgain’s Organic Plant-Based Protein Powder! It comes in two flavors: Vanilla Bean & Creamy Chocolate Fudge! 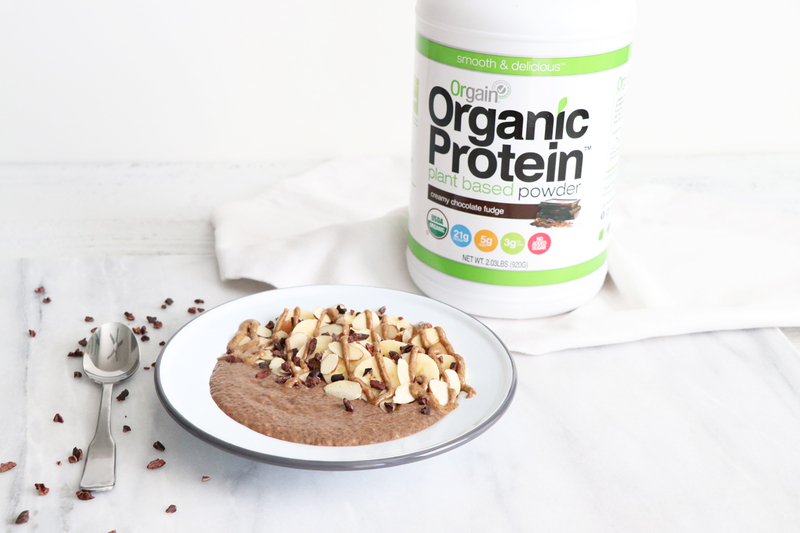 Their protein is a blend of Organic brown rice, hemp, chia, and pea proteins. 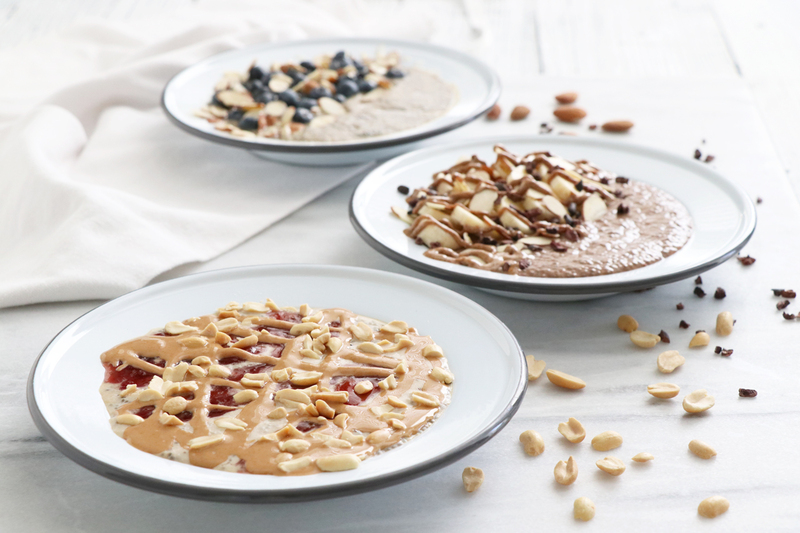 Each 2 scoop serving 21 grams of protein and 5 grams of fiber! 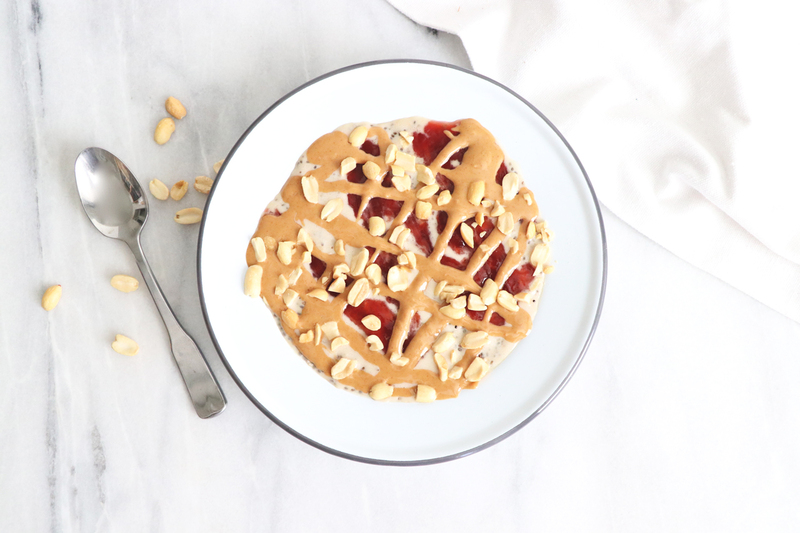 There is no added sugars, it’s USDA organic, gluten-free, soy-free & really, really delicious! Thanks for watching & subscribing to our YouTube Channel! Add the protein powder and chia seeds into a small bowl and whisk together, then add the water and whisk again until well combined. Let sit for at least 10 minutes (or cover and store in the fridge overnight). 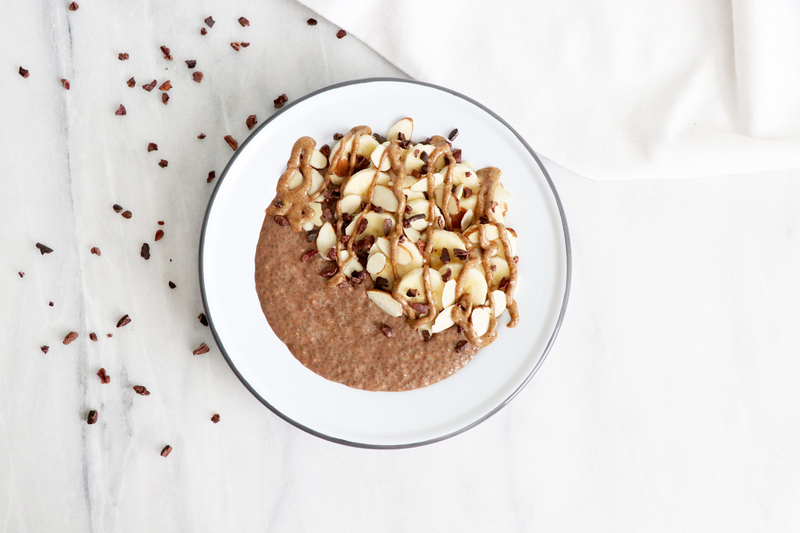 When you are ready to enjoy top with the banana, cocoa nibs, almonds and almond butter. 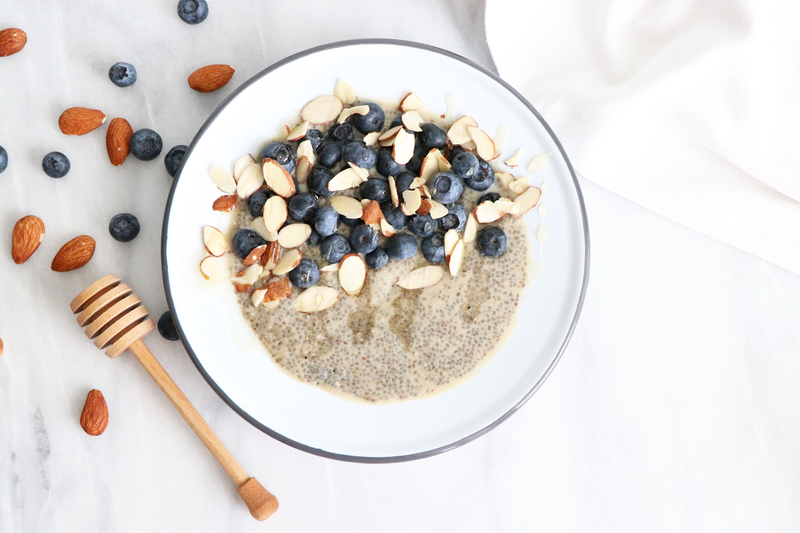 Add the protein powder and chia seeds into a small bowl and whisk together, then add the almond milk and whisk again until well combined. 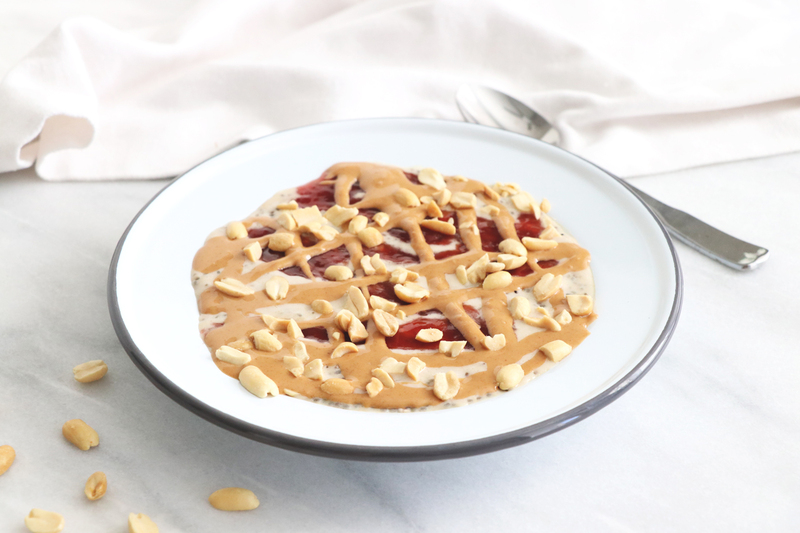 When you are ready to enjoy top with the strawberry jam, peanuts and peanut butter drizzle! When you are ready to enjoy top with the fresh blueberries, chopped almonds and a drizzle of raw honey, enjoy!